Alzheimer’s disease is fast becoming a global epidemic. Every 66 seconds, someone in America develops the disease. We need to end Alzheimer’s – hopefully for our sakes – but also for the futures of our children and grandchildren. This is my fifth year participating in The Longest Day, a sunrise-to-sunset event that symbolizes the challenging journey of those living with the disease and their caregivers. While I participate in the event in memory of my father, as well as my brother – who passed away with this disease just four weeks ago – I also do so in support of all of those battling Alzheimer’s, and their caregivers. I have now twice seen how devastating this disease can be, and the emotional toll it takes on a family. My father Henry was an incredibly interesting and talented individual. Over the years, he owned and operated an amusement and concession business, bought a corner grocery store and operated Winkel’s Accounting and Tax Service. My dad truly was my first role model. My brother Wayne and his loving wife had seven incredible children, eighteen grandchildren and eight great-grandchildren. He was my second role model and, while I miss him very much, I take solace in knowing that he is now in a much better place, and will not have to endure the worst of the terrible disease that is Alzheimer’s. Today I am privileged to captain the Association’s National Board Team on The Longest Day. We have established a very ambitious goal of raising $150,000 – and I am very confident we will accomplish our goal! From sunrise to sunset, my team and I will do everything from biking and walking to dancing, cooking, swimming and fishing; one of my fellow board members also will be hosting a radio call-in show as part of this team effort. We will all join together in our different ways for one cause, and we will raise awareness every step of the way. I wish all of you good luck with your Longest Day activities today and thank you from the bottom of my heart for participating in this critically important event to raise awareness and resources for the millions of people living with this disease. 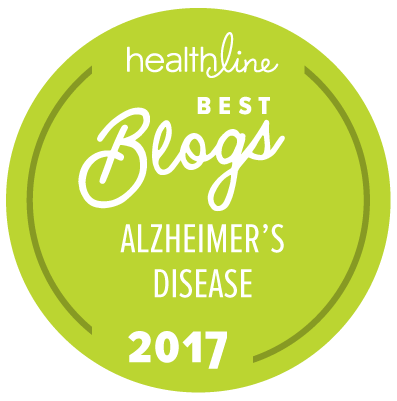 Together we can ensure that our families will one day live in a world without Alzheimer’s. About the Author: Tom Winkel currently serves on the National Board of Directors of the Alzheimer’s Association in Chicago where he also serves as Treasurer and Chairman of the Finance Committee. He previously served on the Board of the Alzheimer’s Association Southeastern Wisconsin Chapter in Milwaukee. Tom is participating in Alzheimer’s Association The Longest Day®, a sunrise-to-sunset event on June 20, 2016, to raise awareness and funds for Alzheimer’s care, support and research. Tom Winkel lives in the Milwaukee, WI area. You can view his page here. Thank you Tom Winkel for your story and for your hard work on behalf of those who suffer. Two years ago tomorrow I buried my mother who suffered for nine years. She was my rock, my role model, my shining star, and I miss her deeply.